Co60 is a common calibration source found in many laboratories, it is synthetically produced by neutron activation of Co59, and has a half life of 5.27 years. 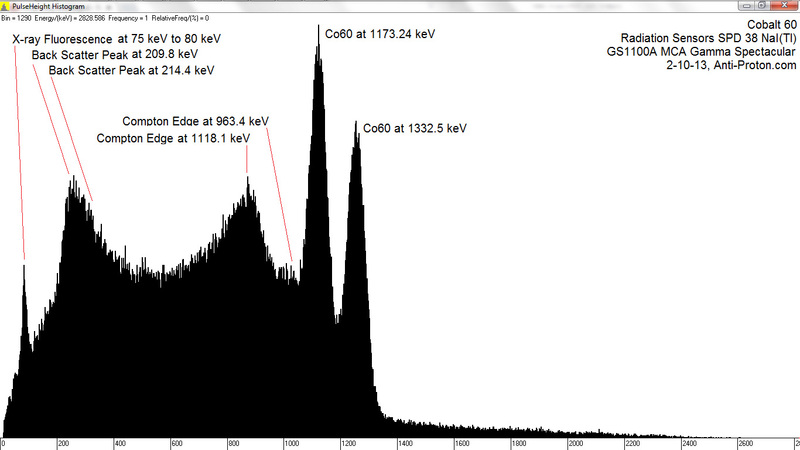 The gamma spectrum has two significant peaks, one at 1173.2 KeV and another at 1332.5 KeV. Most good scintillation detectors should have adequate resolution to separate the two peaks. 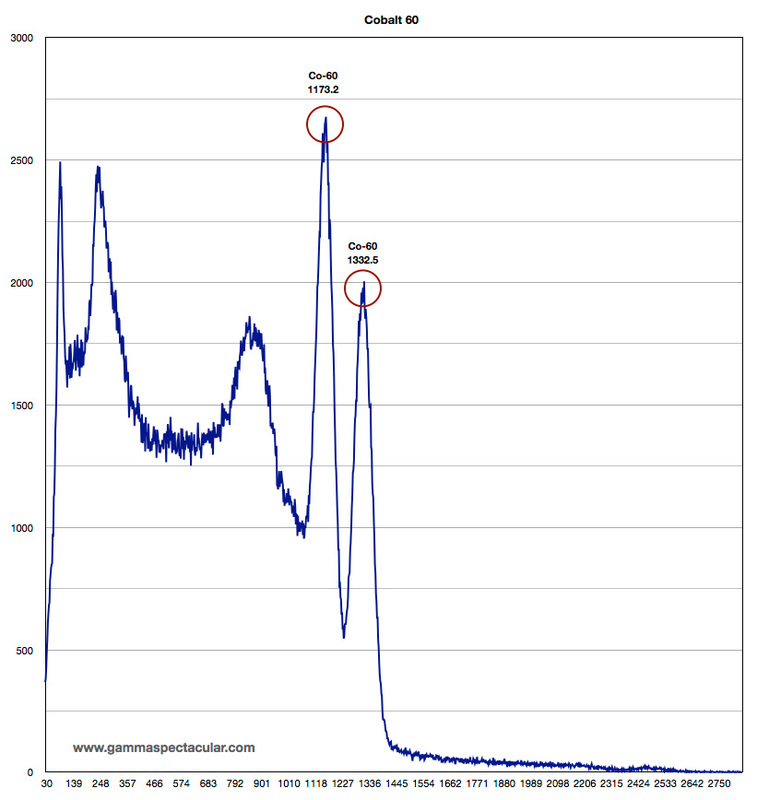 The data for the spectrum below, was kindly provided by 'happynewgeiger' the peak to the left of the Compton scatter, is most likely Pb X-rays from the shielding, and not directly from the Cobalt source itself.